Despite considerable economic potential, Guinea-Bissau has long been constrained by political turmoil and social unrest that have caused economic development to regress. More than 69 percent of Bissau-Guineans people live below the poverty line on less than $2 per day with higher poverty rates among people aged between 15 and 25 and women. Chronic food insecurity is compounded by shocks related to political instability, irregular rainfall and volatility of prices for imported rice and local cashew nut production for export. Nearly half the population of 15 years and over are illiterate, with a wide gap in illiteracy between men—45 percent—and women—71 percent. Net enrollment, attendance and completion rates at primary school are extremely low, with disparities among regions; 27 percent boys and 51 percent girls are out of school. At 3.3 percent, HIV prevalence is among the highest in West Africa, with women more affected than men. Poor diet, inadequate feeding practices for young children, and high childhood morbidity contribute to global acute malnutrition rates of over 6 percent among children under age five, and chronic malnutrition rates of 27.6 percent countrywide. Addressing malnutrition: WFP provides nutrition support to 6,000 people living with HIV who are receiving antiretroviral therapy and people with tuberculosis under directly observed treatment. This improves their general health, and helps ameliorate some of the adverse effects of the drugs used for these diseases, improving treatment adherence. Their food-insecure family members are also supported in order to offset some of the impact of the illnesses on their household income and nutrition. School meals: WFP provides over 86,000 hot meals to schoolchildren, aiming to incentivize school enrollment and attendance. Take-home food rations for female students encourage girls to attend and remain in school. WFP is also working to strengthen the Government’s capacity to manage the school meals program, facilitating the transition toward national ownership. Resilience building activities: WFP, in partnership with the Government and local NGOs, aims to protect livelihoods of food-insecure households, building resilience to shocks and improving access to basic social services and markets in rural communities. 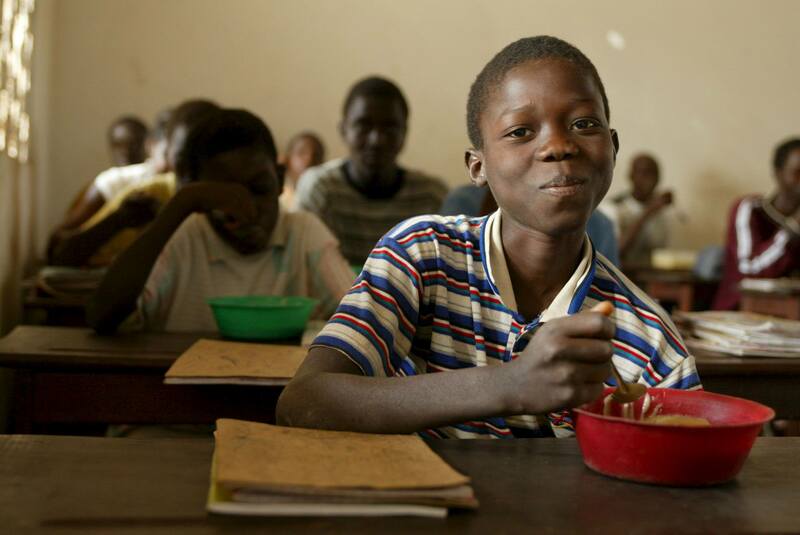 So far, 25,000 Bissau-Guineans have benefited from WFP’s Food for Asset activities. During 2015 the project provided food assistance, technical expertise and non-food items to small landholders. In exchange they worked to construct feeder roads and build infrastructure for rice production. The project ended in August but will be restarted in April 2016.